CaviBlasting is a unique and innovated method to remove fouling that is cost effective and safe. The technological basis of the blaster is the physics of hydrodynamic cavitation. The system generates high energy cavitation in a controlled manner. The major industrial application is to clean underwater surfaces using the forces of cavitation. The unit removes unwanted marine growth from hulls, steel, and concrete structures. Increased safety. The water stream will not inflict damage to unprotected skin. All types of marine growth from seaweed to hard, well attached barnacles are easily removed with only one pass. 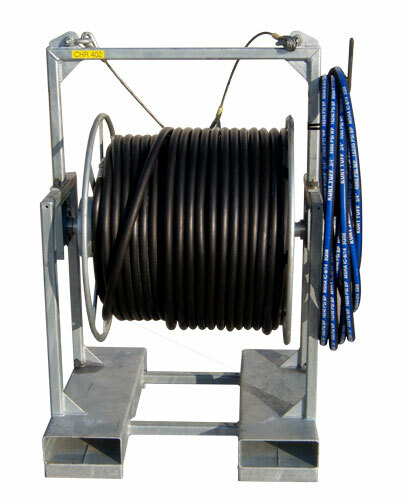 Effective on all types of services including steel, concrete, wood, plastics, fiberglass, and rubber. Surfaces can be cleaned without disturbing paint, varnish, or anti-fouling coatings and releasing heavy metals or other contaminants into the water when losing low pressure. The system can use salt or fresh water. The cavitation flame leaves a smooth surface that retards biological growth and decreases cleaning frequency. The pistol grip nozzle is compact, enabling complex geometrical surfaces to be easily cleaned. 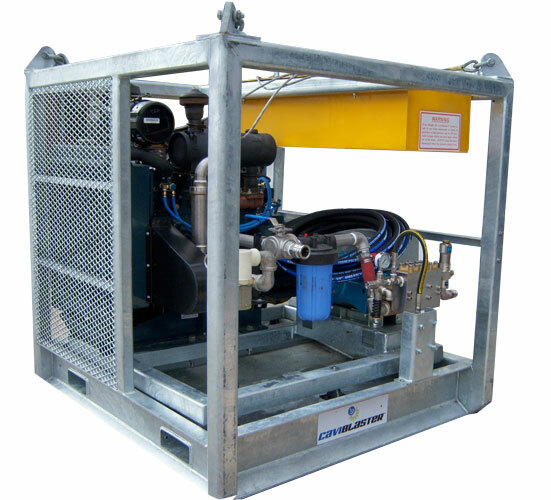 Skid mounted unit comes complete with blasting unit, hose reel, cavitation blast gun and certified lifting. 20 GPM @ 4000 PSI air start unit on a galvanized certified skid with drip pan. 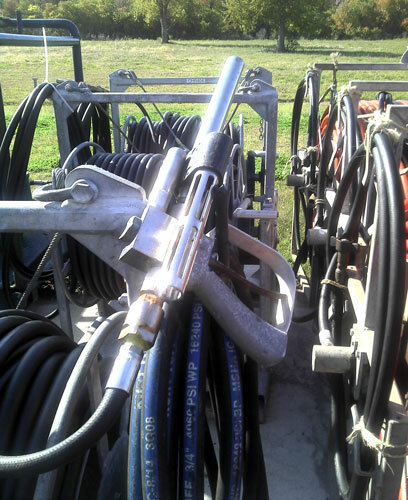 Hose reel is skid mounted with 400 ft. of 3/4" HP hose with the cavitation blast gun.